A few weeks ago was CE Week, a week long technology press show and conference held in NYC. Vendors come from all around the country and world to display their new products. Some decide to hold private events and one such company was the headphone manufacturer Aerial 7. Held at the large electronics store, Data Vision in NYC, Aerial 7 had the drinks flowing, the beats pumping and the good times rolling. The event wasn’t just for CE Week, but also to celebrate their first permanent, branded in-store area. While DJ Neil Armstrong was killing it on the wheels of steel, the real reason any of us showed up was to check out the headphones. Jump after the break to see what’s new and coming up from Aerial 7. 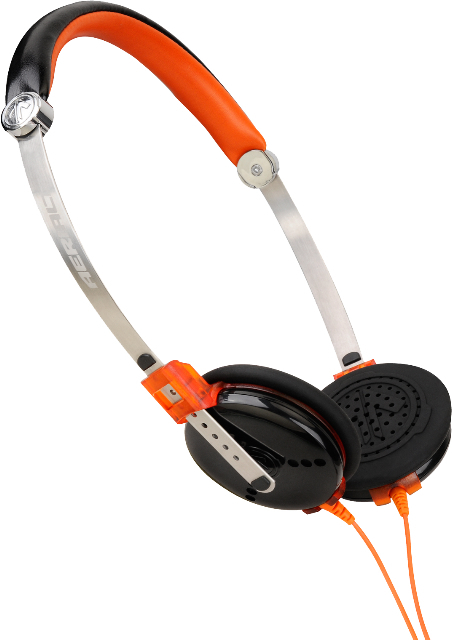 Outside of a redesign for better durability, the Tank headphone was also seeing 2 new color-ways. The first is a return of a classic from their first generation of Tank- the Graffiti. 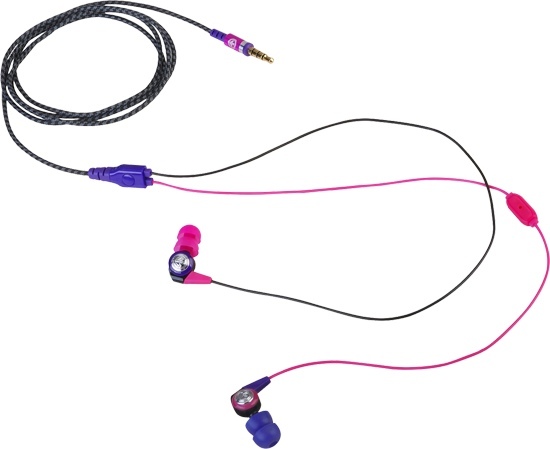 These headphones sport a magenta, blue, and orange color scheme that is sure to get noticed just about anywhere. 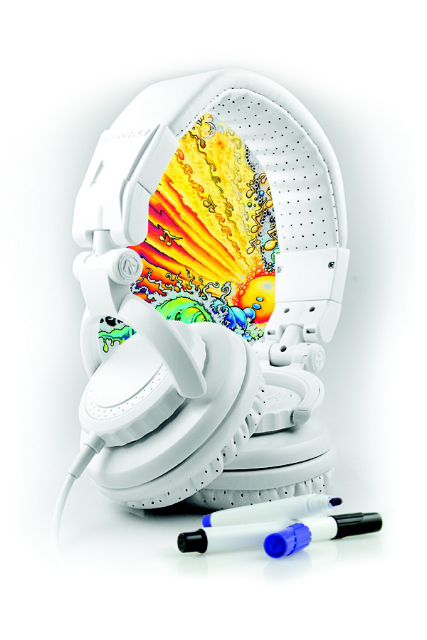 The second color-way though is what had visions of headphones dancing through our heads – the DIY Tank. These blank slate headphones will be all white and feature a surface that just about any writing tool can mark up. That’s right, a set of headphones that will come in any color scheme your heart can imagine and your hands can create. The Tank sounds as amazing as it looks and both of the new models will retail for $100. Also out on display were the Fuse and the Neo. The former are on-ear headphones while the latter are ear-buds. The Fuse feature the Disk System, a system of removable ear cups that can be used in other Aerial 7 products such as the Sound Disk Beanie and Sound Disk Sports Beanie. The Neo are the newest earbuds from Aerial7 and feature and in-line mic with call controls for use with smart phones. Both come in 4 different color-ways and the Fues retails for $50 while the Neo goes for $60. The most exciting set of headphones we saw was called the Switch. We don’t have photos of it, as we saw an early prototype, but the concept is great. The Swtich incorporate large, DJ-style headphones with ear-cups that not only are rotatable from front to back, but also removable! Imagine throwing down in the decks without having to cramp your neck to keep the one side of headphones you’re actually using in place. Dj’s everywhere are going to want to pick up a set of these when they come out, which should be early next year.